In the computer world, speed is king. Just take a look at any tech-related publication and you will see page after page written about the latest and greatest parts, and how they will make your computing experience faster and easier. While the latest CPUs, video cards, and RAM modules will indeed make your computer faster in some tasks, for the average user like you and me, these parts will do little for us in terms of daily tasks- like web surfing, office productivity, and media consumption. The truth is, CPUs have been fast enough to do these basic tasks for the last ten years! What are we to do when we just want a little more speed without breaking the bank? The answer comes in the form of solid state hard drives. In the computing world, the mantra goes something like this, “a computer is only as fast as its slowest component”, and when it comes to computers, the hard drive is always the slowest component of a computer. And this is a problem, as everything your computer works with comes from the hard drive. That’s right, everything you see on the screen, everything you touch or interact with, must first come from the hard drive. It doesn’t matter how fast your CPU is, or how much RAM you have, if you have a slow hard drive, the computer is going to seem slow because it must wait on that slow hard drive to get anything done. The inside of a solid-state hard drive. Notice all the memory chips, and no moving parts. Enter the solid state hard drive (SSD). 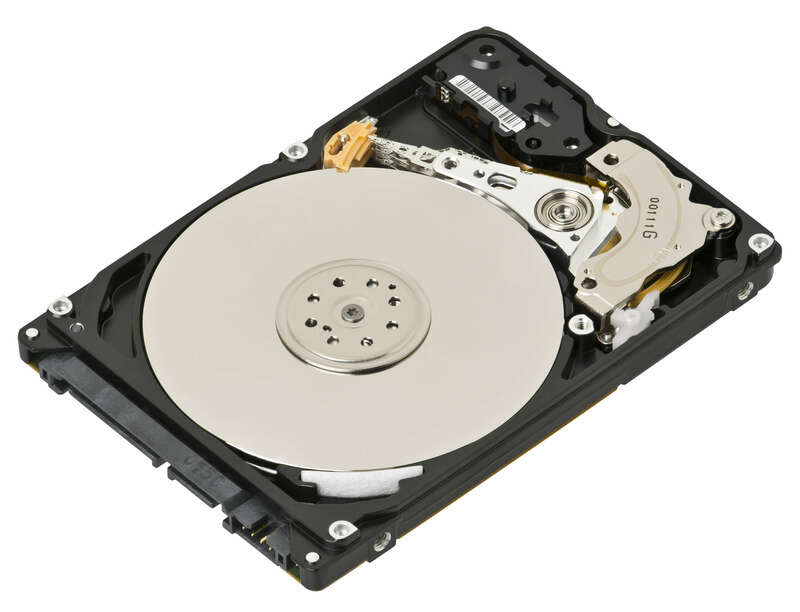 A solid state hard drive differs from a conventional hard drive primarily in how it’s constructed. A SSD is made of memory chips, while a conventional hard drive is like a high-tech turntable, with needles passing over a platter to read and write data. 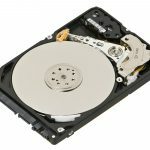 There are a lot of moving parts in conventional hard drives, and all those moving parts take time to do their work, which contributes to the slower speed of these drives compared to a SSD. The benefits of equipping a system with a SSD are immediate, you will enjoy faster startups and faster application load times. When a computer uses a SSD, the computer can work much faster, because it takes so much less time to get the data the computer needs to work with. Don’t take my word for it, though, check out this video below to see the difference a SSD makes in even older computers. Whether you’re buying a new computer, or even replacing a dying/malfunctioning hard drive in an older system, the benefits are clear. Not only will you enjoy faster loading times, but the lack of moving parts in a SSD means that these new drives operate very quietly, and with a minimal output of heat, meaning that an older laptop computer will likely see an improvement in battery life compared to the old drive. Upgrade your computer, or find a new SSD-equipped system at DNA Computers, your friendly neighborhood computer store.